The time flies and, suddenly, it’s time to start planning Valentine’s day decorations for our home. Let’s face – 14th of February is a celebration of love! We all dream of spending this holiday with our beloved one and that’s why is so important to make the atmosphere romantic and unforgettable. 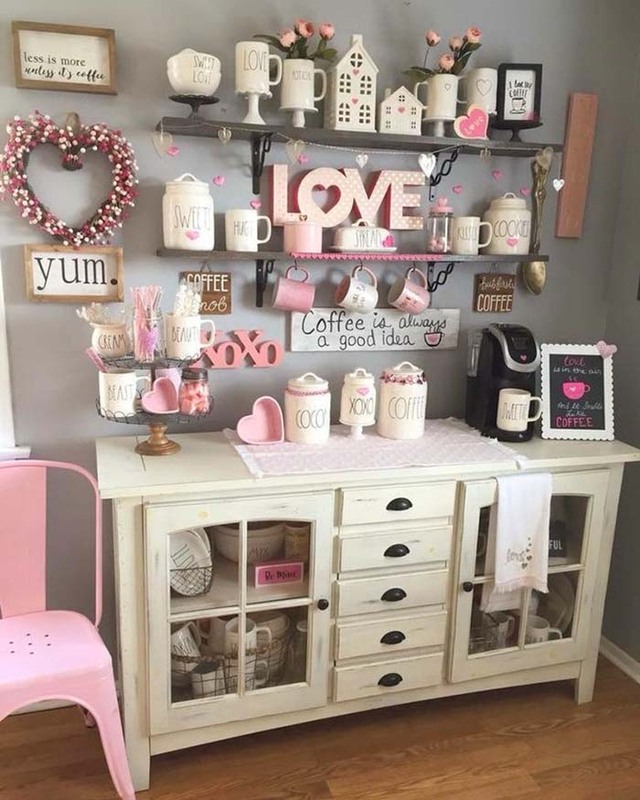 To help you spread the love at home, we have prepared a list of 18 cute Valentine’s day decorations, each of them – unique, gorgeous and affordable. Hearts, glitz, and glam…and much more! We hope that you will fall in love with one (or more) of them and re-create it at home. 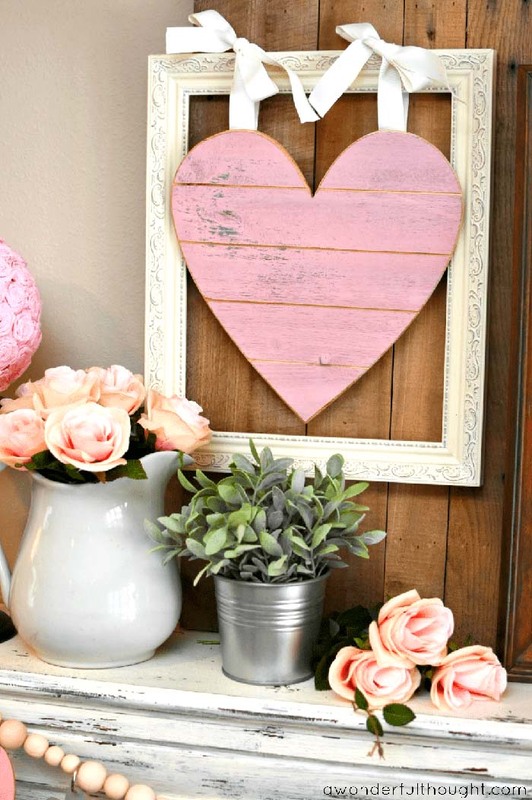 Get inspired, use your imagination, build something a stunning Valentine’s day decor! 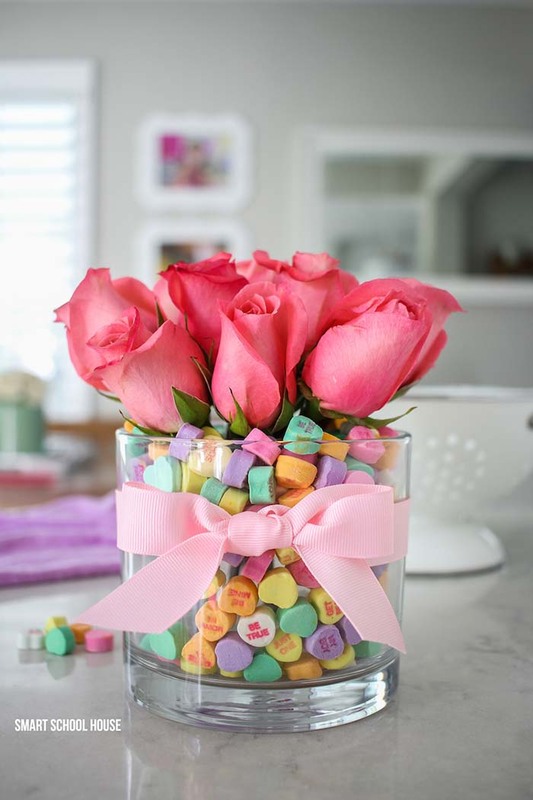 To start, take a look at this cute and cheery table centerpiece for Valentine’s day! As a matter of fact, there is a vase of water sneaked underneath the pile of decorative, colorful hearts to keep the roses fresh and spirited. The hearts in pink, no matter if they are knitted, plastic, wooden or plush, are for sure one of the most typical Valentine’s decorations. 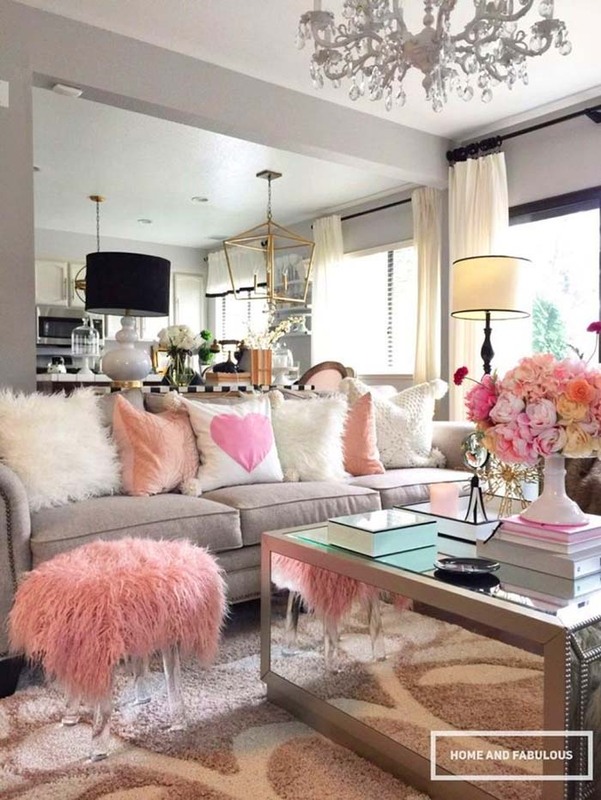 This one on the picture, for instance, gives the living room space a strong rustically chic vibe. It is also an appealing symbol of love. A great way to repurpose old picture frames. The best thing about these Valentine’s day decorations is that they could be displayed in the kitchen all year round. They are not too literal and too showy and perfect if you like farmhouse decor. Moreover, the wooden wall sign “LOVE” would remind you to express how much you love your partner every day, not just on Valentine’s day. Here is something for those of you who are thirsty for more Valentine’s day heart decorations – pair this cute DIY love pillow with the rest of the decor for a festive Valentine’s sofa. 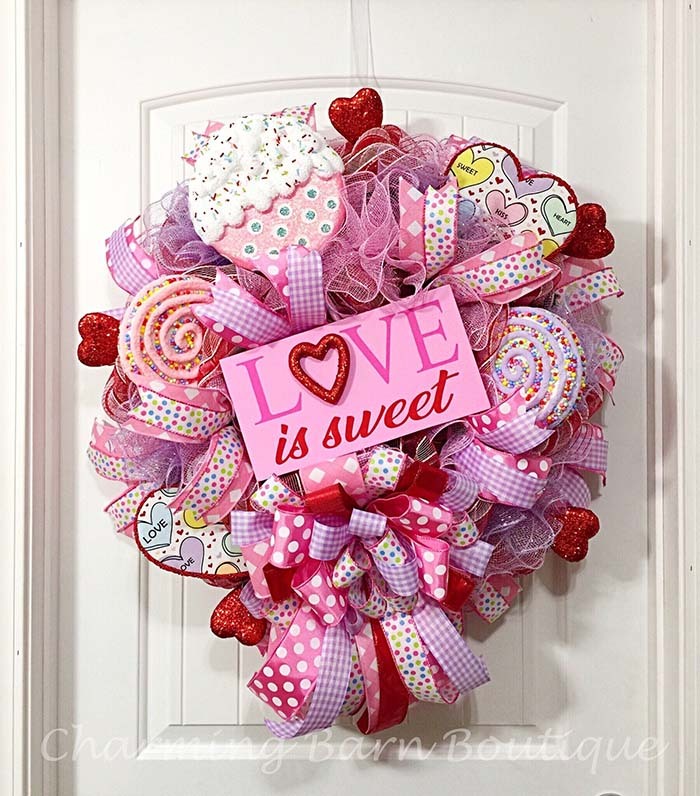 I found this beautiful DIY home decor while I was helping my sister to find some Valentine’s wreath ideas. You won’t need much time and money to re-create this appealing rain of hearts. It’s surely a nice touch to the Valentine’s day table decorations. I would recommend to use more glitz to make the decor more shimmering and fun. Here is an idea that every crazy DIYer would love! 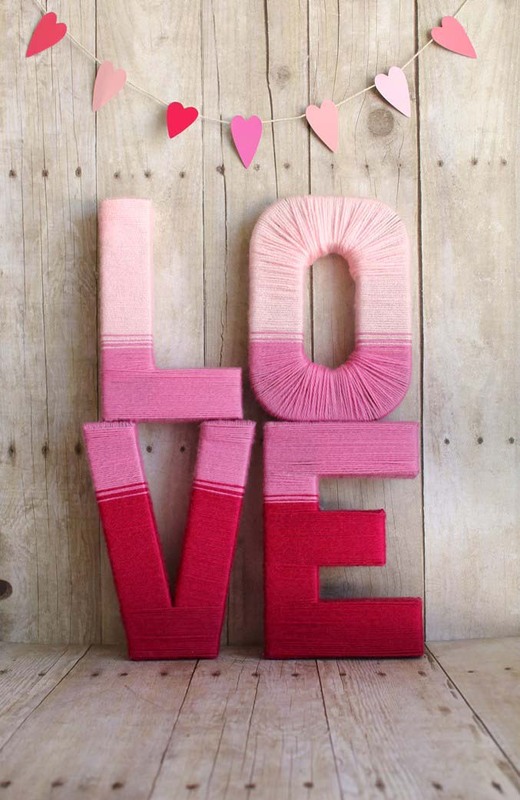 Use cardboard letters from the nearest craft shop to make this cute ombre Valentine’s wall decor. It’s quite rustic and romantic, isn’t it? 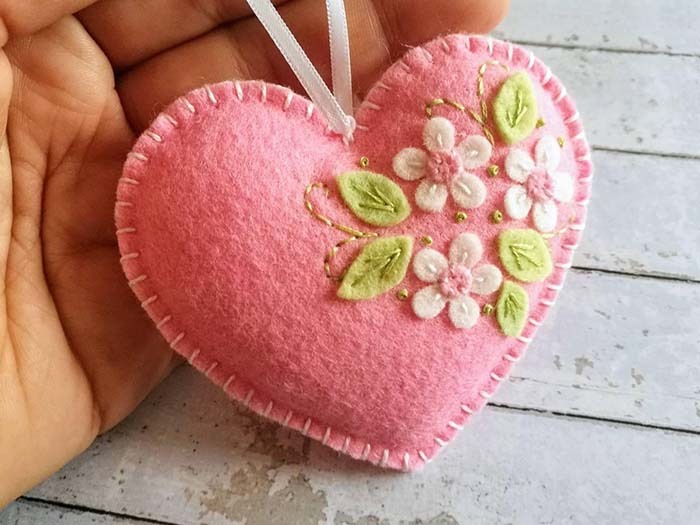 This adorable DIY wool felt heart ornament is the perfect addition to every Valentine’s day party decorations as well as wedding decor. It is very sweet and cheery. 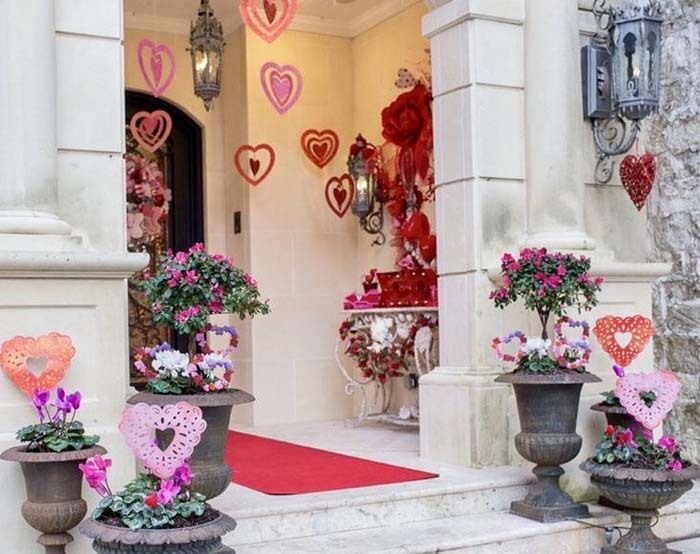 These adorable and cheap Valentine’s day decorations for the porch will make your house look very warm and inviting. Also, you don’t need to spend a fortune – simply make some paper hearts in different colors to grab everyone’s attention. This handmade garland of cards will definitely become a charming decoration for the mantel. 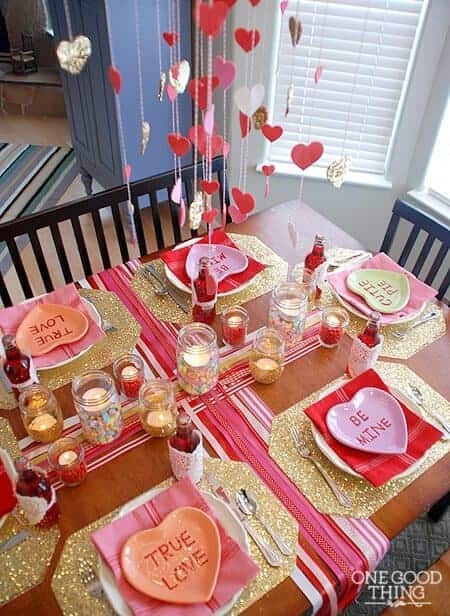 Moreover, it differs quite a lot from the popular decorations for Valentine’s day that are usually made with pink or reddish hearts. This fun LOVE decor made of reclaimed wood could be either an adorable mantel, porch, or entrance hall decor. It will surely give every space an unpretentious, rustic vibe. 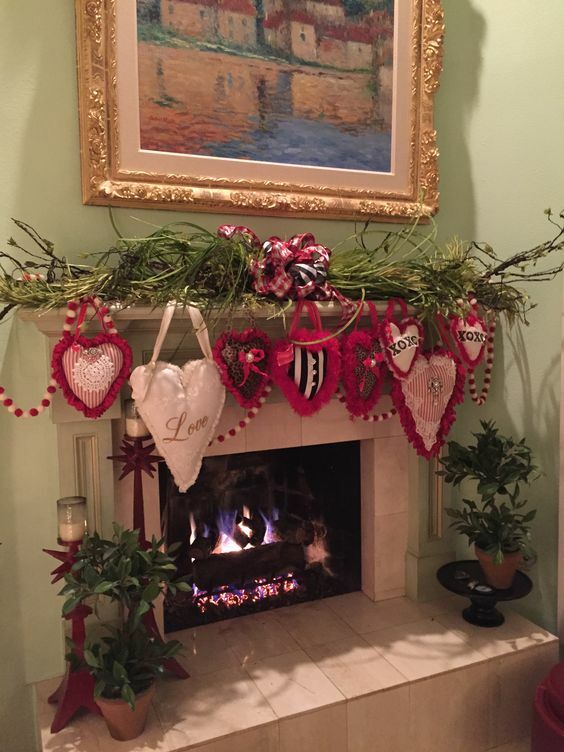 The Valentine’s day tree decorations are suitable for those of you who like bold, showy home decor ideas. 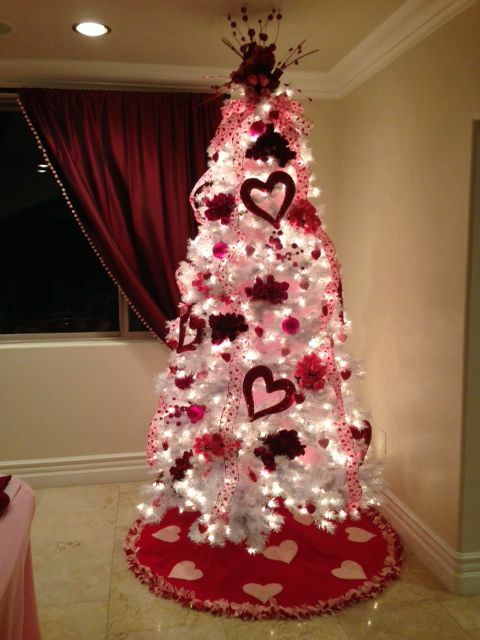 That’s basically a faux, all-white Christmas tree decorated with red hearts and some ribbons. Very unusual, eh? 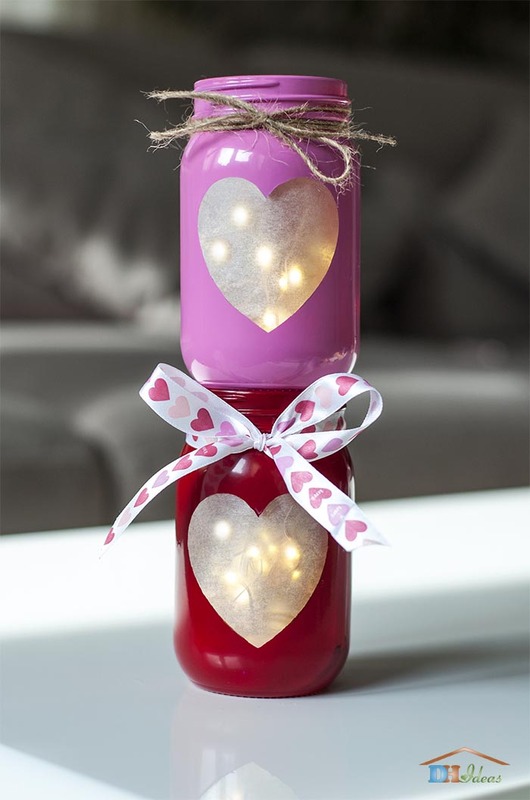 Deck out a bunch of Mason jars you don’t use with glass paint to create the cutest Valentine lights decorations. Add some ribbons as a final touch to these adorable DIY candle jars. 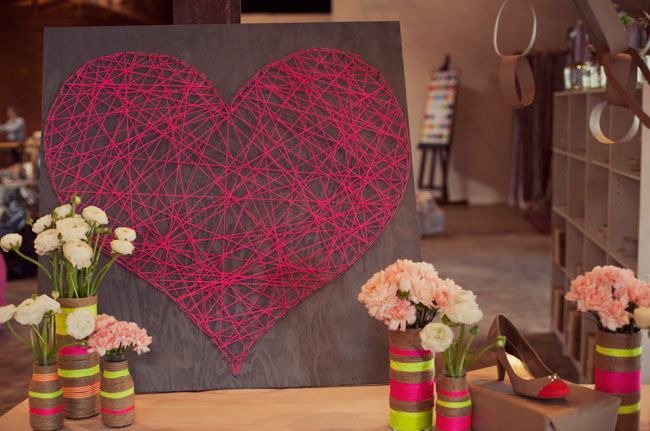 Surprise your partner with this pretty piece of string art made by you. Directly latch pink string around nails arranged in a Valentine’s day themed heart shape. 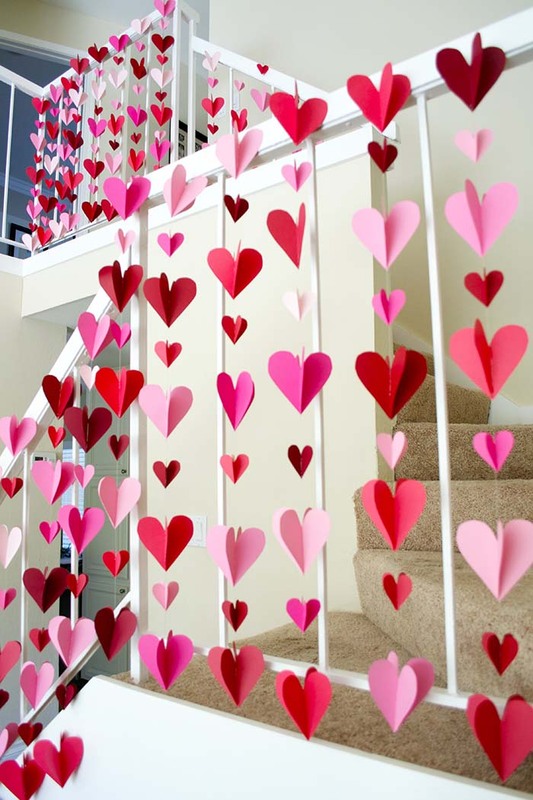 Even though it would take a bit more time, this brilliant DIY heart garland is surely something that would make your guests talk from the moment they enter the house. What are you doing with your old sweaters! Please don’t toss them out! Instead, put them to good use and make these charming and fluffy sweater hearts in various sizes and display them on the mantel. 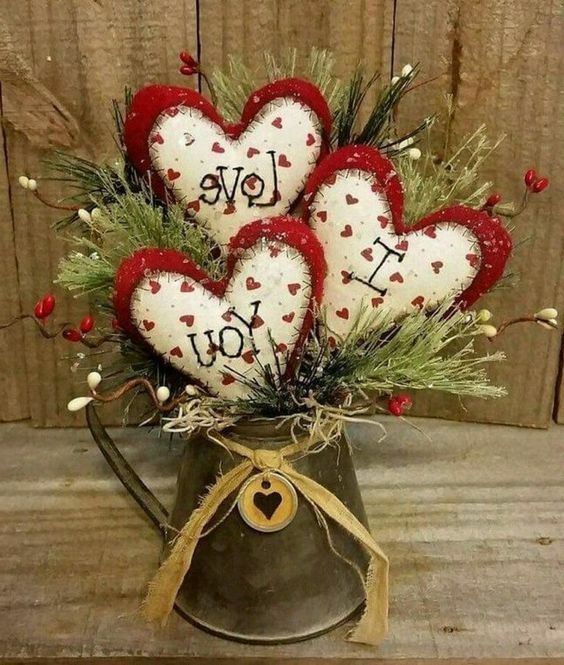 If you plan to say “I LOVE YOU” for the first time to your partner at Valentine’s day, why don’t you try to re-create a similar to this rustically chic DIY decor? It’s very lively and, also, could be displayed on the dining room table or close to the window. 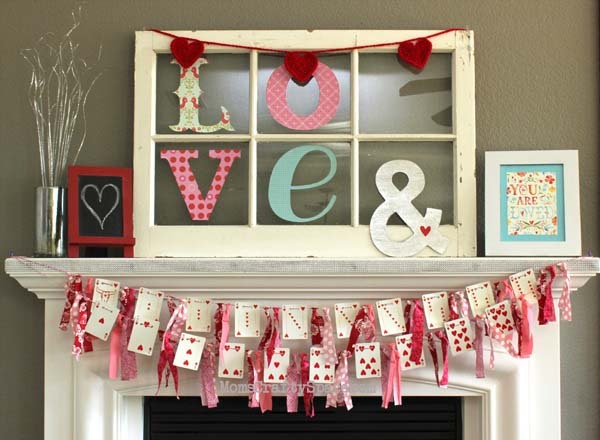 Let’s finish the collection of Valentine’s day decorations with another idea that says “Love is sweet”. 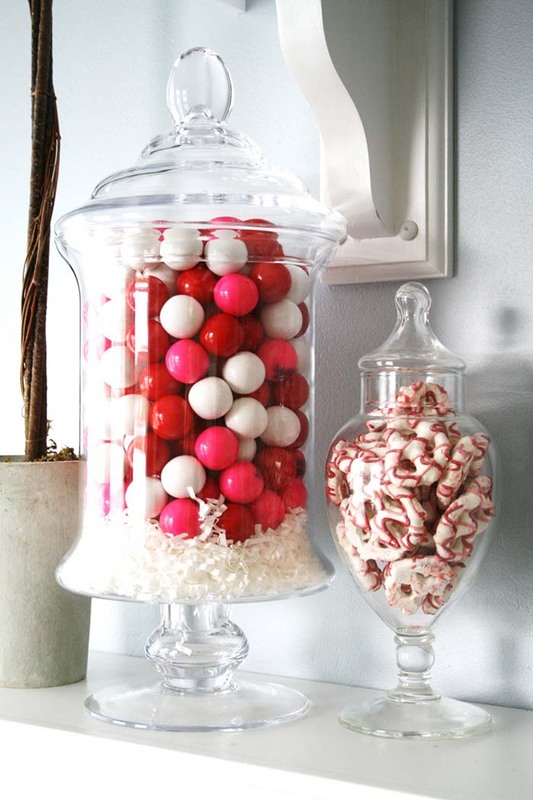 just fill up a bunch of apothecary jars with some fun pink, white, and red candies from the shop. 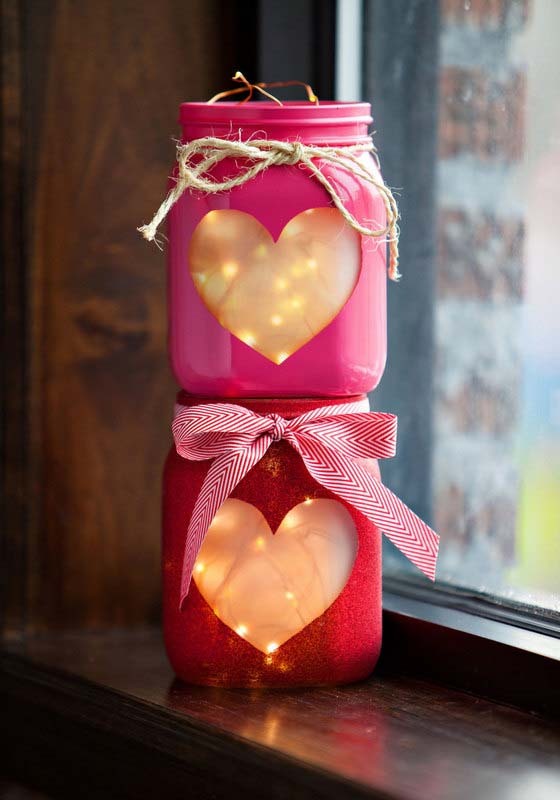 One easy and super cool Valentine’s day DIY project is painting two mason jars in pink and red with hearts.